Hurrah! Champagne corks pop! The book is launched and there is a flurry of sales, as everyone who knows and likes the author ( and some who probably don’t ) buys the much-worked-on and treasured volume. A book signing here, a ‘Meet the Author’ there, creates more interest and subsequent sales. Then there is a lull. Visits to the author’s sales reports show few sales or none and the weeks go by. She’s worked hard on her author platform and her blog still gets plenty of visitors and hits. Her subscriber list is growing and she’s gathering followers for her author page on Facebook and her Twitter feed. Her book is being added to people’s Goodreads lists, but – what’s happening to sales? This is something many writers and publishers recognise – I certainly do, sales of The Village have gone from a stream to a trickle. Reams of advice are available, from professional associations like Alli ( the Alliance of Independent Authors ), from commercial associations like Author Marketing Club and from other authors. It’s only two months since publications of The Village and word of mouth – that single most important element for an unknown writer – won’t yet have got going. So it’s early days. But there are threads which stretch for miles on Goodreads Author groups, all seeking the answer to the same question – how do I sell more books? And, as everyone says, there are no easy answers. One oft-made suggestion is to write more books. Sales grow the more books you publish – that sounds a truism, but let me explain. If an author has two published books and 100 sales for each, totalling 200 ( and most self-published books these days sell between 100 and 200 copies maximum over time ), another publication will not gather just another 100 sales, but more, because not only will some folk who bought the first two buy the third, but some people who come across the third, having not known about the first two, will go and buy them too. This is one of the reasons why writing series of books is so popular. It also makes you more visible on Amazon. Another is to make the Amazon algorithms work for you. Generating a sales spike, using a giveaway or a price reduction, which then bumps your book up the Amazon sales rankings in your chosen category, and gets it in front of more potential readers will generate more sales. There seems to be a whole sub-set of the publishing industry devoted to books about how to do this. 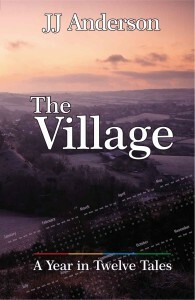 The Village is, incidentally, currently at 525,918 on the Amazon.co.uk general books ranking. It has been as high as 7,000 and as low as 900,000. But even the hardest working writer can only write so much (I heard of someone who wrote over 70 volumes in one year, they were mainly short stories, but still… ) and, if you’re writing you’re not blogging, or tweeting, or reading, or managing your position in the sales ranking. So what can you do? One answer is – maximise your sales from the book or books you have already written. So this is what I am doing. Go audio. I am currently working with a California-based actress to produce an audio book of The Village. How we got together to do this is recounted on a blog post on www.thevillagedirect.com, click here to read it. I will be writing more pieces about how I’m finding the process ( it’s great fun so far ) on The Story Bazaar. Present your writing in various formats so as to maximise its appeal e.g. in ‘e’ form and paperback, in a complete version and, if you write short stories like me, in shorter form. Amazon used to have a category called shorts, now defunct, because some readers only want a short (and cheaper) book. This was withdrawn, largely because of the number of free or discounted book sites out there, like Bookbub, which competed too well, but people still sort on the Amazon site by price. And if you don’t write short stories? Well, Dickens wrote many of his novels in episodic form, why shouldn’t you? So, from this week, for those who prefer a shorter read, The Village is available in three ‘e’-shorts – books of four stories each. These are ‘e’-books only, designed to reach those readers who find their Kindle books on Amazon by sorting for shorter or cheaper volumes. The first volume, Winter to Spring includes ‘A New Year’, ‘Sunday’, ‘The Volunteer’, ‘In Calley Wood’ and ‘Not Even Waving’ and is the shortest of the three. Summer to Autumn includes ‘Open Gardens’, ‘Mixed Doubles’, ‘The Summer Fete’ and ‘The Lion’. The final volume, ‘Autumn to Winter’ includes ‘Harvest’, ‘The Fourth Estate’, ‘In the Salon’, ‘Accident & Emergency’ and ‘Coda’ and is the longest at 125 pages. All are priced at 99p GBP or $1.49 and they are available on Amazon.com and Amazon.co.uk now. My first ‘e’-short sale was within five hours of these ‘e’-shorts being made available on Amazon, so there is a market out there. Maximise your markets – make sure your book (if written in English) is listed on all the English language retail sites, OR go exclusive with Kindle Select and get access to markets not otherwise available. Full Kindle royalties from sales in Japan, Brazil, India and Mexico are available only via Select. My web-site stats tell me that this site regularly has visitors from Brazil, India and Mexico so this is probably worthwhile for me ( I’ll be blogging about what surprising things my stats tell me very shortly). Kindle Prime subscribers are also unlikely to be looking on ordinary Amazon for books. 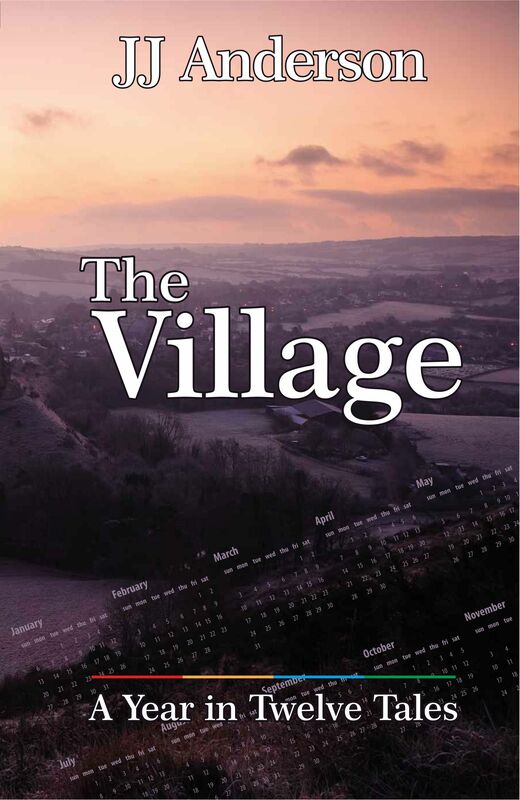 I am going to place The Village on Kindle Select. Chatting with other authors, it seems that sometimes this boosts sales, sometimes it doesn’t, but sales from other retailers are a very small percentage of The Village sales, so Kindle Select it is. I’ll report back on what I find. Also consider translation. Joint ventures between authors and translators are becoming more common, whereby a translator translates a work and promotes it in another non-English speaking country for a share of the profits. I’ll be considering this for The Village too ( there are one or two Spanish-English translators I happen to know, for example ). Expect to hear more about this in future. None of these tactics will be successful, however, if the quality isn’t there and people don’t want to read what you’re writing. So I still spend most of my time doing what I enjoy – that means writing stories. If you enjoyed reading this article you might also enjoy The Making of an Audio Book How not to write….. How not to promote a book…. JJ, excellent post. Are you saying that a novel can be sold in separate parts? Hi Jim, the book I ‘split’ into three, entitled ‘The Village’, was actually a set of interlocking stories, rather than a novel, so that made it easier, but I think the answer to your question is ‘Yes’. Why not? Many of Dickens’ novels were serialised in his magazine before they were published as complete books. Some novels wouldn’t lend themselves to it, perhaps, but others might. We also now see the development of the ongoing series of books, which even though they look like a series of complete novels, are really only part of a much longer saga – like George R.R.Martin’s books. It would also depend on your readers and what they want, I guess.